REDOUBLING efforts to prevent Indigenous Australians developing end-stage kidney disease is crucial given the social and practical difficulties of delivering complex care such as dialysis and transplantation in remote Australia, Dr Paul Lawton has warned. Dr Lawton, a nephrologist at the Menzies School of Health Research, said prioritising prevention efforts could make an impact in as little as 5 years, provided there was the political will to make a difference and primary health care in remote areas was properly funded. “Everybody has a personal story connected to kidney disease — it’s a very prevalent, personal and difficult story for patients and their families and the community”, Dr Lawton told MJA InSight. The upheaval associated with relocating patients with kidney disease to regional centres for treatment was a “tragedy” for many families and a major burden on remote communities, he said. Efforts so far to provide dialysis in remote communities had been “moderately successful”, but were only part of the solution. “It’s resource intensive, and it’s difficult to sustain those resources in remote areas for long periods of time”, Dr Lawton said. While the unadjusted data had shown that this survival gap had closed, adjusted analysis suggested that a significant disparity in survival remained, the study found. Dr Lawton acknowledged the difficulties of providing primary health care services in remote Australia in a culturally appropriate manner, but told MJA InSight that it was far easier than providing complex health care, such as dialysis and transplantation, in remote locations. Dr Tim Mathew, National Medical Director of Kidney Health Australia, said there was widespread agreement that prevention was key, but this would take time. “If you halted new kidney disease now, it’s going to take a decade or two to work its way through to really prevent the end stage [of the disease]”, he told MJA InSight. However, he agreed that there were intrinsic difficulties in addressing the inequities in kidney care in Australia. The remoteness of some Indigenous communities made it difficult to provide dialysis care, and the cultural connection to land and family meant that relocation to regional centres for care presented major difficulties for those involved. A spokesperson for NT Department of Housing, which is responsible for the proposal, told MJA InSight the proposal was with the federal government for consideration but no details were released. Dr Lawton welcomed the NT Government “coming to the table” on the offer. 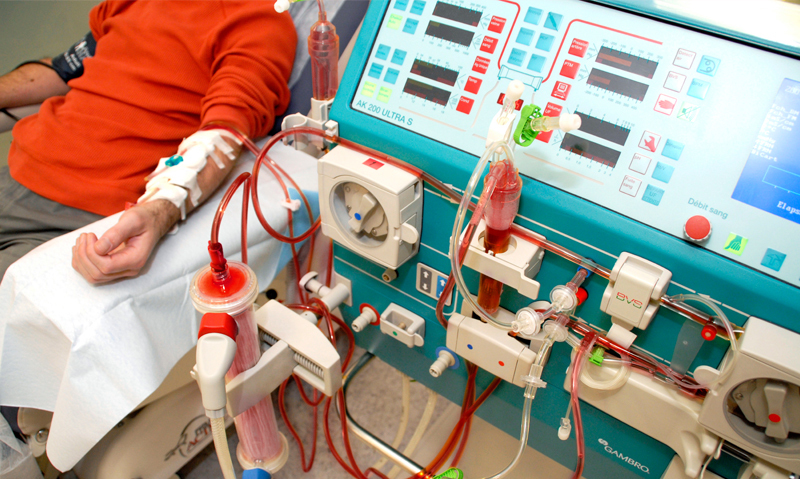 “The history of dialysis provision in the Northern Territory over the 16 years that I have been involved is a history in which we have not been able to adequately address the needs of people who are suffering with kidney disease”, he said. Dr Mathew said the findings of the MJA study that the gap remained in outcomes for renal replacement therapy was a timely reminder that there was still a way to go. However, he said there had been “substantial, definite improvement” in outcomes in Indigenous patients on both the crude and adjusted analysis.